Editor’s Note: In her first Making Sen$e post on the immigration crisis that accompanies tonight’s Making Sen$e broadcast story on Utica, New York, “the town that loves refugees,” scholar and refugee worker Hannah Carrese made the case for America returning to a discarded policy of the past: the guest worker bracero program, inaugurated in the 1940s. In this post, she suggests a solution to what may be the greatest immigration crisis America faces: a tsunami of refugees fleeing the violence of failing states in Central America. Watch Making Sen$e’s broadcast story on Utica, New York, “the town that loves refugees,” above. Twenty years ago, when NAFTA was ratified, North Americans could profitably speak about two kinds of migrants: economic migrants and displaced people. The first was a personification of commerce — migrants who chose to leave home and travel where there was a demand to which they could supply a solution. The second was the human face of violence — refugees forced to leave their homes to travel to a place where their lives are not threatened. These categories seemed clear in North America in large part because a few years before NAFTA was signed, both the U.S. and Mexico had established robust refugee programs for Central Americans fleeing violent revolutions in their countries. The real migration problem we face in North America isn’t Mexican migrants seeking jobs in the United States. Rather, it’s Central Americans (and now Venezuelans) fleeing violence in their countries and seeking asylum in Mexico or the U.S. But we’ve collapsed the distinction between economic migrants and displaced people in recent years. Many on the left contend that the inability to feed one’s family — the deep poverty that we once thought produced only economic migration — kills just the same as a barrel bomb. Many on the right see migrants, even those recognized as refugees, as economic opportunists, benefiting from strong labor markets, supposedly generous entitlement programs and lax border controls in rich Western democracies. But this collapsing of categories, on the right and left, has not served the world well. We see now the awful human costs of an international legal order that does not, will not, guide and modulate human migration. In addition to opening a door to regulated, cyclical migration from Mexico, that is, the United States should seek to reestablish another old order — these categories of economic migration and forced migration. We should begin by recognizing this fact: During the past five years, Mexico-U.S. migration has actually operated in reverse. More Mexicans are returning south to Mexico than are coming north to the U.S. 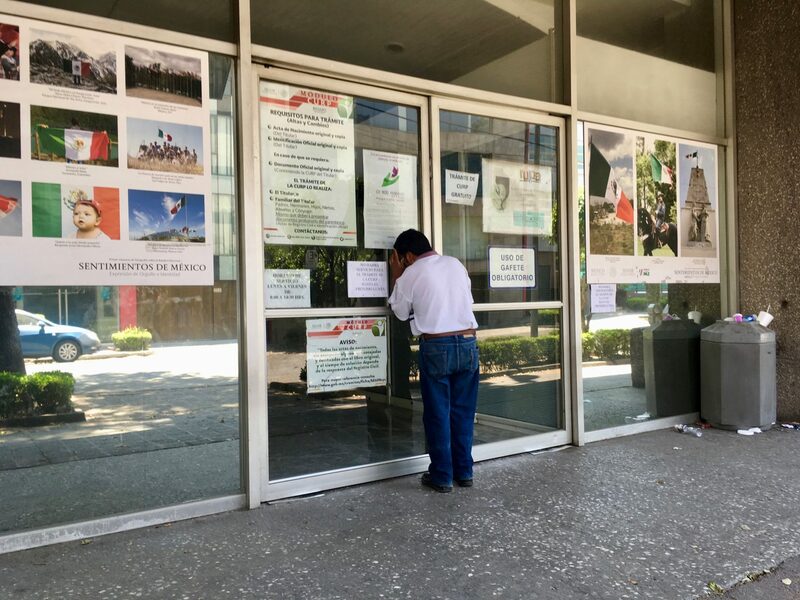 The southward movement of Mexican nationals makes clear that the real migration problem we face in North America isn’t Mexican migrants seeking jobs in the United States. Rather, it’s Central Americans (and now Venezuelans) fleeing violence in their countries and seeking asylum in Mexico or the U.S. Twenty-two thousand of these Central Americans are expected to apply for refugee status in Mexico during 2017, up from just over a thousand in 2012. We should expect many of these asylum seekers to show up at the U.S. border during the next decade, much as asylum seekers have flocked to Europe during this decade. We should expect many of these asylum seekers to show up at the U.S. border during the next decade, much as asylum seekers have flocked to Europe during this decade. It is in our self-interest to recognize that displaced people are unlike economic migrants in that they do not choose to migrate — they are forced out by violence from which their governments cannot protect them. If we want to keep these displaced people from seeking safety in North America, in the U.S. and Mexico, we must proactively help countries in South and Central America to develop better governments and economies. President Obama gestured toward these problems after thousands of Central American children came alone to our southern border in 2014. But his policies were reactive: He allowed more Central Americans to be recognized as refugees in the U.S. and directed U.S. officials to make asylum determinations in Central America before asylum seekers made the dangerous trek through Mexico. Truly confronting North America’s Central American migration crisis requires new strategy. The U.S. is properly wary of involvement in Central America: Our government provoked the violent revolutions that produced mass displacement in the region during the 1980s. But our circumstances are not entirely different now. The gangs now terrorizing El Salvador and Honduras formed in the U.S. and were exported to Central America by Salvadorans and Hondurans deported from the U.S. in the 1990s and 2000s. Our failures of the 20th century should help guide our policy in the 21st. 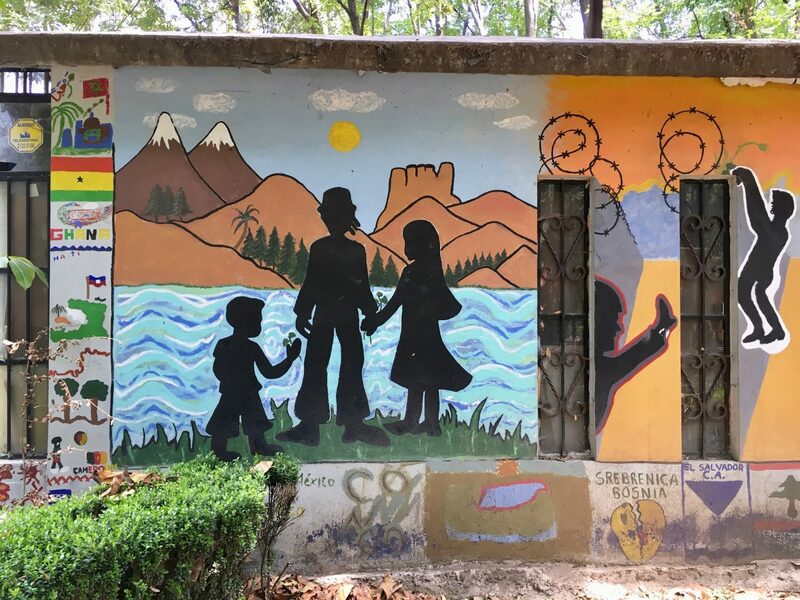 Instead of influencing national politics in Central America, our aid and advice should be intensely local: 24-hour courts and youth centers and community policing in high-violence neighborhoods. A 2013 survey found that in El Salvador, Guatemala and Honduras, “crime victimization is lower and public perception of security is higher” in communities where USAID has done this kind of intensive development work. We should emphasize programs introducing young people — who, in Latin America, display a record lack of interest in political participation and leadership — to politics as a means for change. If we want to keep these displaced people from seeking safety in North America, in the U.S. and Mexico, we must proactively help countries in South and Central America to develop better governments and economies. Instead of secret regime-toppling, our open aim should be institution-building. An institution with which we might start is CAFTA, the Central American Free Trade Agreement. Patterned after NAFTA, it seeks to create partnerships between the United States and Central American countries that are poor in part because they are too small to function on their own in a global economy. Economists — and the World Bank and the World Trade Organization — seem to agree that free trade can be a powerful tool for poverty relief. And lifting people from poverty has been linked to reductions in cyclical violence. This is worth a try in Central America. President Trump made clear in a February address to Congress that “the only long-term solution for … humanitarian disasters, in many cases, is to create the conditions where displaced persons can safely return home and begin the long, long process of rebuilding.” His administration might begin to make good on this idea in Central America, where conditions are not yet so bad as to precipitate the kind of displacement we now see, for example, in Syria. This, after all, would be an America First policy — one that recognizes that the United States is not the only “American” nation and that the people and problems we ignore abroad will, now or in other decades, find us here. 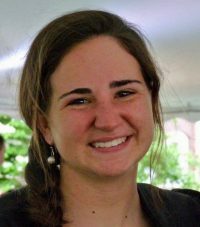 Hannah Carrese spent 2016 to 2017 as a Yale Parker Huang Fellow researching refugee and migration policy in Mexico. This fall, she will study political theory at Oxford on a Rhodes Scholarship.